Choosing a PHP Framework to develop websites can save you time and efforts. I’m not writing this post to write an exhaustive list of the pros and cons of different PHP frameworks but just want to highlight why I think PHP frameworks are worth trying. In my very case, it has also led me to better programming practises. The framework I’ve developed entire projects with is Code Igniter (v.1.7.2). I have also had a go with Kohana3 (just for fun) because I was looking for a strict PHP5 lightweight framework. I have not got very deep into Zend Framework because it looks a bit heavyweight for my purposes. However, it is developed by Zend Technologies Ltd., the reference in terms of web-based PHP applications. If you have never tried a PHP framework and are ready to view how it works in a few minutes, just try one of the official video tutorials on http://codeigniter.com/tutorials/ : strictly astonishing! At first, I was a bit reluctant to choose a framework and preferred coding my own scripts because I tought starting to use a framework would force me into a practise I could later regret (use of coding rules imposed by the framework itself, efficiency in the long term…). This was my first thought before ever trying one. After my first Code Igniter experience, I have changed my mind and now think they make my life easier. And even if the framework I have chosen was no longer maintained, I could easily choose another framework to develop my new websites without changing so much my programming practise. The power of PHP5 frameworks like Kohana is they’re strictly OOP (Object Oriented Programming), a proof of better programming practises. 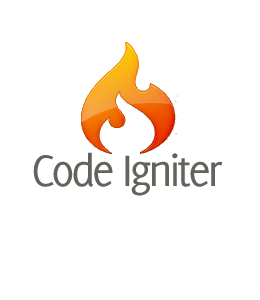 Code Igniter is partly written in PHP5, helpers including PHP4 functions. The power of an MVC architectural pattern is that it allows you to structure your code : your PHP scripts are not mixed anymore with Html and MySql requests as they would be in a home-made script without a framework. In a Model-View Controller pattern,you may define specific folders to hold your controller classes, your models classes and your views. Practically speaking, a web page will call a controller. This controller may define variables or call a model to retrieve data from a database, for example. So, the model will execute the MySql query, get the data from the database and return the result to the Controller. The controller will then pass the results to the view which is like an Html template. My personal controller here loads the Main Controller constructor and then loads some helpers. These helpers are not the default CI helpers that can be found in /system/helpers/ but my own rewritten helpers : my_html_helper.php, my_url_helper.php and my_date_helper.php which are copies of the original helpers to which I have added some personal functions. Scripting websites with Code Igniter has led me to write scripts which are very short, easy to manage and wonderfully efficient. This entry was posted in Codeigniter Framework, PHP5 and tagged Codeigniter Framework, framework, kohana, Zend Framework by admin. Bookmark the permalink.